Fine arts is creative art, especially visual art, whose products are to be appreciated primarily or solely for their imaginative, aesthetic, or intellectual content. 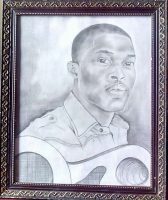 This veteran artist you see below by name is Chinonso Ordu. A friend, class-mate and colleague. 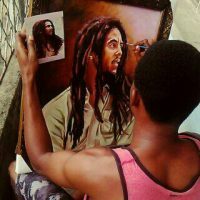 He definition of his life can be seen through his art work. He loves to draw. He is also a blogger, a Manchester United fan and a Christan. He studied Fine Arts at Imo State University, Owerri.